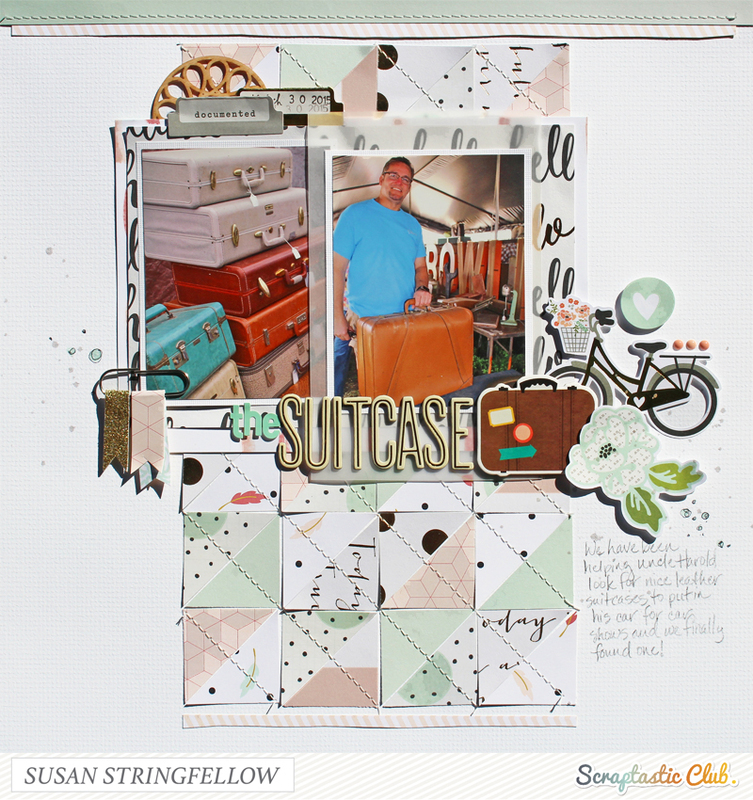 Here is another layout using the beautiful April "Darlene" kit and Add on kit.from Scraptastic Club. 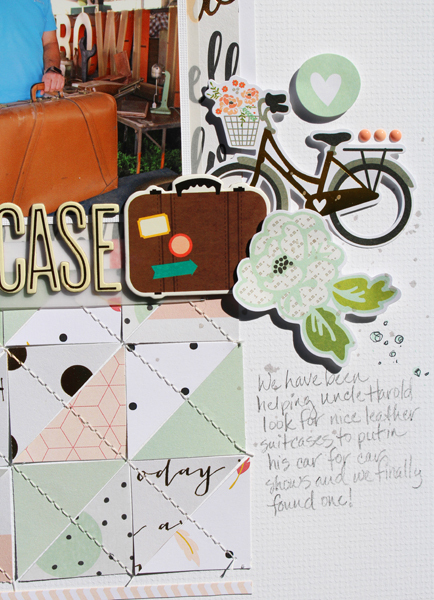 I was inspired immediately by the little suitcase chipboard because we are always on the hunt for a certain sized vintage leather suitcase for my uncle to use for car shows with his vintage car. We finally found one recently and I took photos of the cool suitcases too. 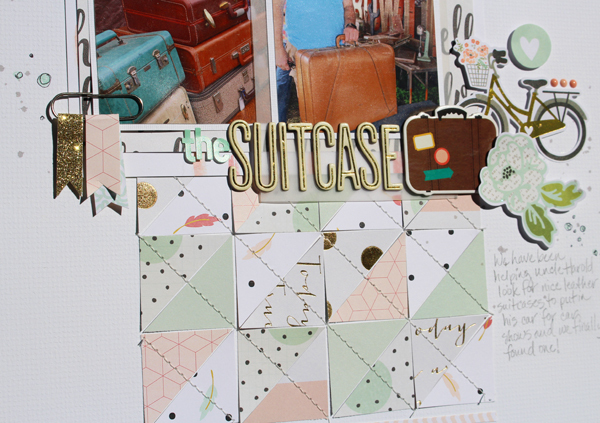 The papers in this collection are light with gold accents and really let the photos pop. For an extra homey feel I created sort of a quilt block effect with triangles cut from the smaller scraps of paper. I love doing this when I get to the end of my kits.